Maybe you’re here because you feel that having a health coach will help you develop lasting healthy lifestyle habits to finally get the results you want with your SCENAR? Maybe you’re here because you are seeking help for your health issues but are frustrated by so called health and fitness gurus? Maybe you’re here because you’re burned out & exhausted? Maybe you’re here because you feel that no one understands your condition and even the “best doctors” are clueless about it? Whatever your reason is, you deserve a better life. You owe it to yourself and in return, you will be able to help others around you and leave a legacy. But how can you achieve your peak performance for life? This is exciting! Benedick’s Wellness Ninja Manifesto is finally available and looking for the right eyeballs! No doubt that the insights contained in this Manifesto will have a greater impact on your health and longevity than any other this year, especially when you put them into action! This manifesto takes healing to an entirely new and exciting level for smart health seekers. So, tell me, do you wake up after a good night’s sleep and still feel tired? Are serious about optimizing your life by improving your vitality, strength and health with Benedick as your health coach? Because, as you’ve probably realized its not just about the daily greens, the exercise dogmas nor the supplements. Your goals to become the better version of yourself. Your dream to do more with your life. All this and more is now available, free for a very limited time in Benedick’s Wellness Ninja Manifesto with the Five Uncommon Energy Secrets for Instant Energy, Optimum Health and Longevity. You will never hear this from your doctors and GPs, because they get kickbacks from prescription drugs, referrals, surgeries and all those medical hullabaloos. When one is caught up in an old belief system and indoctrination, one is scared to change because we are mostly followers, not a leaders. Think about Galileo, Tesla and other great scientists. Their ideas were scoffed, laughed and ridiculed by the flat landers and powers that be during their time. Only to find out that their ideas are true, correct and functional. You see, publishing this manifesto is a great risk. There will be bashers, naysayers and unbelievers, or worse, they shut you up like they already did to Benedick in 2010. The contents of this manifesto will be changing the face of medicine as THE solution to our healthcare crisis. The manifesto literally obsoletes most of the money stealing medical and pharmaceutical practices. How fast this change happens depends on you reading this to the end and taking back your power. When you can let go and forgive the killer endgame of the powerful and evil medical indoctrination, you can get off the medical treadmill. 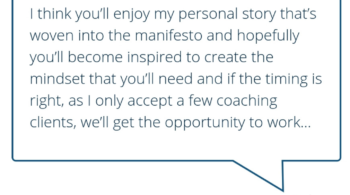 Then you’ll understand why this manifesto was so important for you on your path to optimizing your health with Benedick’s heath coaching. More in the manifesto on this peptogenesis process, so read on! And should you need supplements, you’ll just use them sparingly saving you potentially thousands of dollars PLUS there’s tips in the manifesto on how to do this too. So, when you can let go of the victimization mindset, that’s when the power of healing is truly in your own hands. When you can let go of your comfort zones and develop your personal “MIND SET” then you can accomplish your life vision with clarity, energy and passion. Then you can let go of your fears of getting older and dying a long painful death. Instead embrace the chilling realization that you don’t have to die at the mercy of the killer medical system because you trusted, like hundreds of others before, what Benedick has to say and the benefits of having a coach. Benedick Howard, 66, a ex-GE development engineer, reveals the uncommon secrets that boost your energy, solve your pain and rejuvenate. These traits led Benedick to discover the best health strategies that really work. 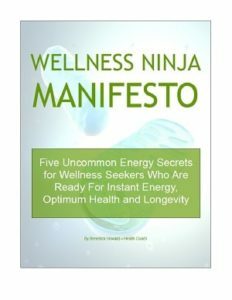 Because these methods brought such phenomenal results, there is an urgent need for you to understand the secrets of Benedick’s Wellness Ninja Manifesto and share it to help others. 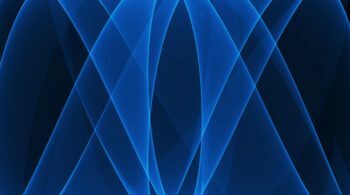 Like many of us, you probably too, surf a lot of health information (and increasingly obvious disinformation), and over the decades it’s been astonishing how ignorant we have become about root causes of health – and the younger generations don’t even know it, and worse, will defend their indoctrinated beliefs to avoid change. And NO ONE has explained, like Benedick, how microcurrent really delivers such phenomenal results. We are literally living in the dark, with the light switch right in front of our faces, hidden in plain sight. Benedick’s Wellness Ninja Manifesto details exactly what you need to do to solve your pain, boost your energy and rejuvenate so that you can look outside of the box and discover how to optimize your health. Are you ready to say goodbye to outdated health dogmas? Then get access to Benedick’s life saving Wellness Ninja Manifesto to learn more about Benedick’s 30 years of research, knowledge and breakthrough discoveries and be prepared to change your Mind Set and what this means for you.